The freshness of lemon and in-season asparagus make this lemon orzo with asparagus the perfect side dish for spring or summer! Lemon orzo with asparagus encompasses everything I love about the spring season. The brightness of the lemon zest and the crunch of the asparagus scream freshness, sunshine, and singing in the rain. Anyone else jump through puddles come March and April? Plus, this recipe is toddler friendly— even though I cringe when I find a few orzo scattered under my dining room table. 50 degree temps, birds chirping at dawn, walks and runs outside, and my favorite green vegetable, asparagus, means one thing: winter is OVER. I hope I didn’t just jinx myself fellow Michiganders…. 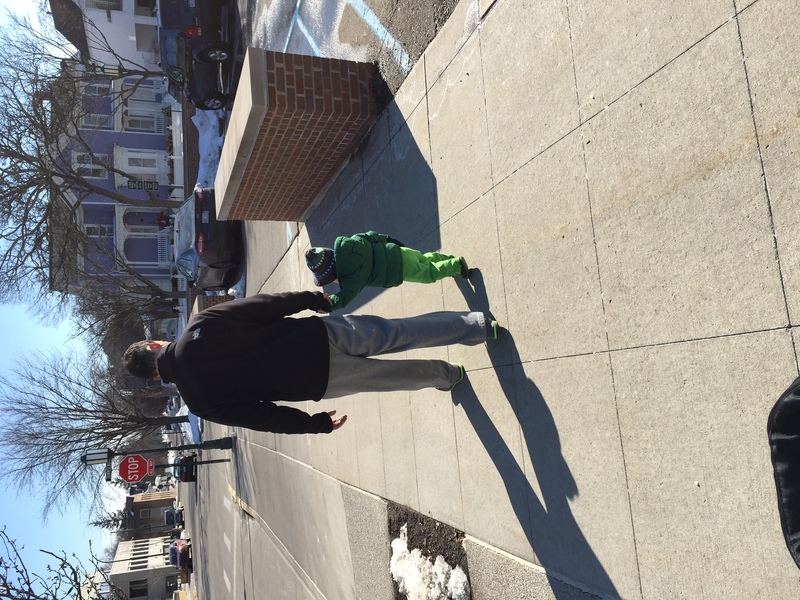 My guys + the sun = a sure sign spring is here! 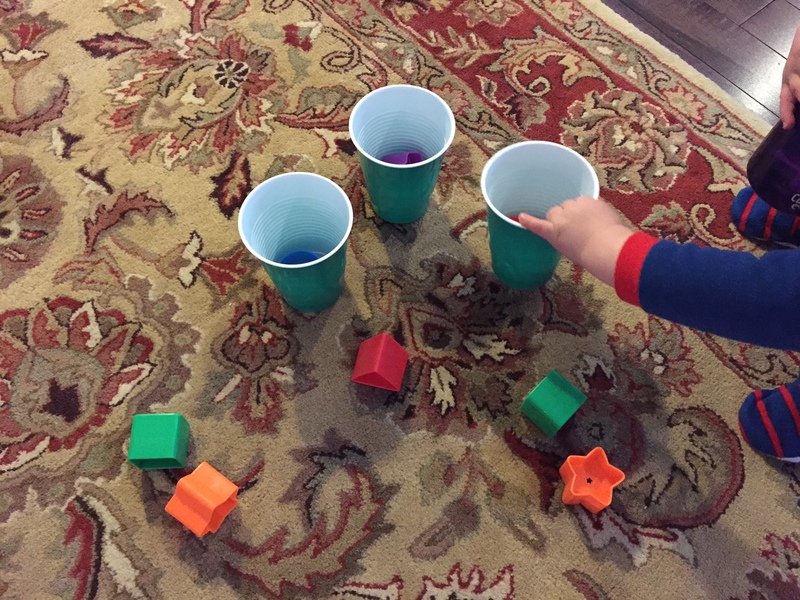 A sign you are going crazy from a long winter: you play “throw the shape” aka “shape-pong” into plastic cups. “Let’s go let’s go let’s go Mom!! 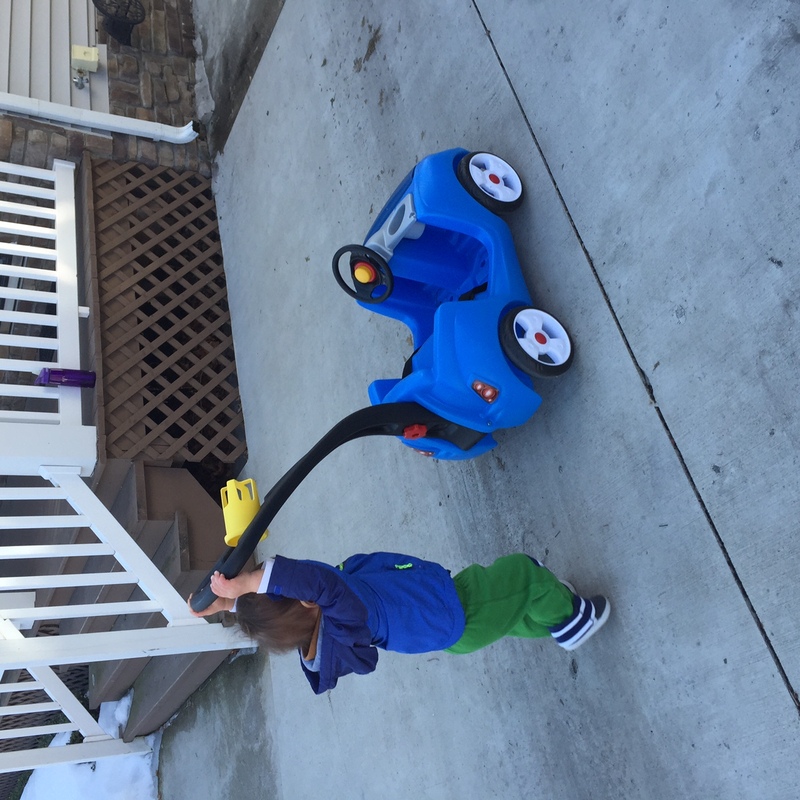 !” Someone else is excited that the driveway is no longer packed with snow. Light, lemony and fresh, lemon orzo with asparagus screams healthy (and spring). It’s the perfect dish to bring to a potluck or spring BBQ because it can be kept at room temperature. Add chicken or steak slices and you’ve got a complete meal. The orzo soaks up the lemon dressing, so the longer it sits the better it tastes! Feel free to swap out the asparagus for any other vegetable in season. Trust me- you’ll love this! To make the dressing, whisk together all of the ingredients. Set aside. Combine the water and chicken stock in a large stockpot. Bring to a boil. Add the orzo and cook for 8-10 minutes. Add the asparagus to the pot. Continue cooking the asparagus and orzo for another 5 minutes. Drain, but do not rinse. Add warm orzo + asparagus to a heat resistant bowl. Add green onions and lemon dressing (mix again if needed). Garnish with lemon slices. Serve immediately or let rest at room temperature until you're ready to eat! Do you “think spring” with lemon and asparagus like I do?! Yum – thinking of spring as it’s snowing here in Philly – will it ever end?? That pic if shape pong made me laugh out loud! Totally with you on being stir crazy from this long winter – and we’re getting more snow today. Ugh! Love the combo of asparagus and lemon – can’t wait for asparagus season to be in full force! This looks delicious! I bet the lemon flavor is wonderful. It’s so subtle but just enough!! Super yum! Yes, I definitely associate spring with lemon and asparagus… and other fun fruits & veggies. I can’t wait to whip this up… looks delicious!